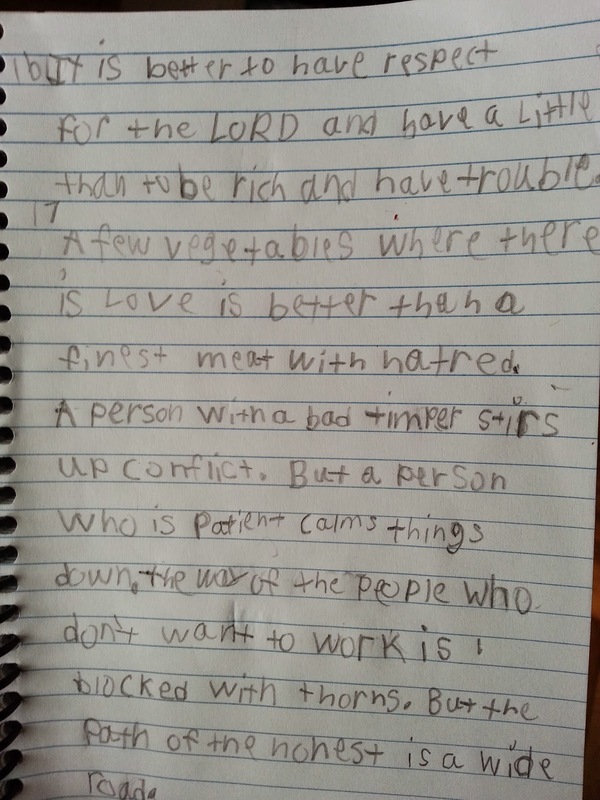 Mackenzie has been writing down some scripture verses that stand out to her. She started with Proverbs 15:13. Then she liked the next verse, so wrote it down and it became Proverbs 15:13-14. Then she liked the next one, so wrote it again and it became Proverbs 15:13-14-15. She has finally stopped at verse 19. 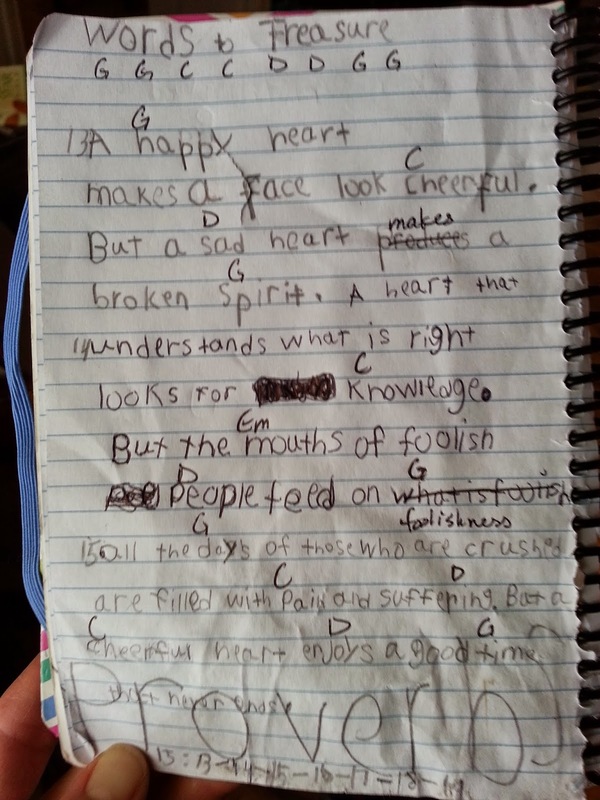 She loved these words so much she took them to her guitar teacher and they added chords and a beat to it. She brought verse 17 to me and told me I needed to put this on my blog. It says, “A few vegetables where there is love is better than the finest meat with hatred.” Pretty true. I wonder if I could gets smiles if I served only vegetables tonight? But the conversation would be delightful. It’s time to crank up the Christmas music and pull out the decorations!! And what better way to season the air than to cook up a steaming hot pot of…no not coffee…not tea…how about….yes, Wassail!!! Mmmm, I can smell it now! Perfect treat for the mid-decorating slump. Here ya go…. enjoy!! We sure do! Place all ingredients into a large sauce pan. Bring to a boil and simmer, uncovered for 30-45 minutes. 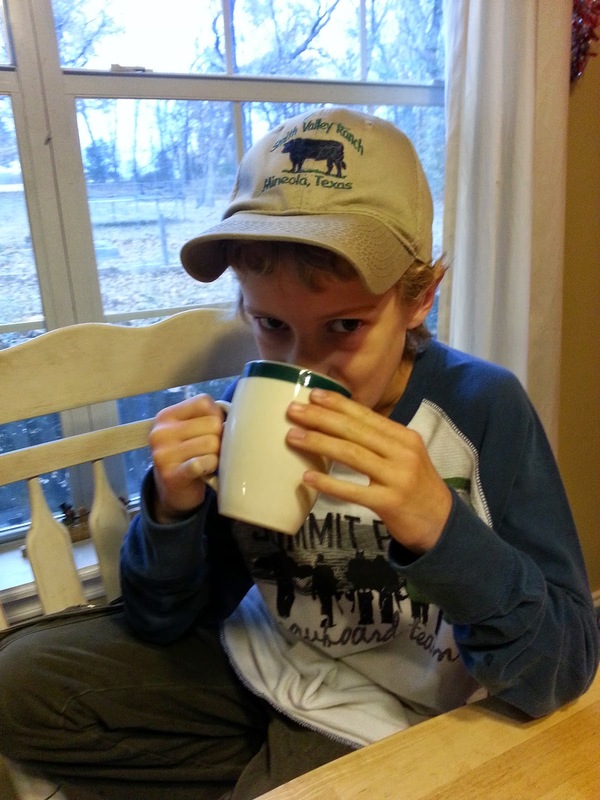 Serve warm with a SMILE!